The slogan was - start from zero, free students from the conventional prejudices. This meant the study of basic principles for creative activity in the visual arts. In practice, work was done in different materials, with the aim of extracting from each the maximum and optimum of strength, texture, function and from. 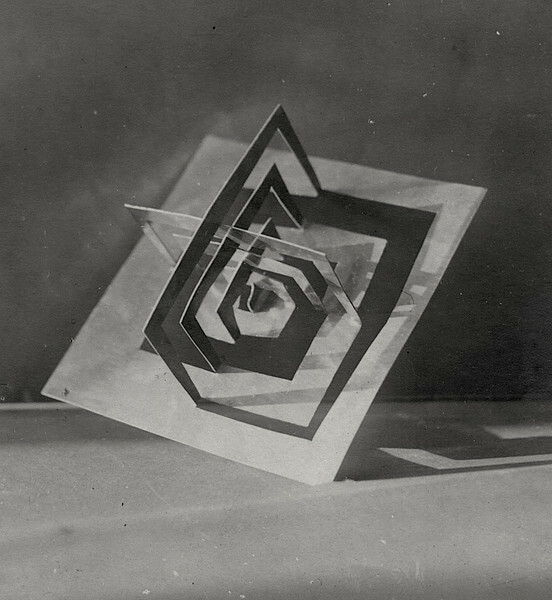 Sharon's Vorkurs studies - turning two-dimensional sheets of paper and metal into three-dimensional shapes - were shown in a Bauhaus 'Vorkurs' exhibition.